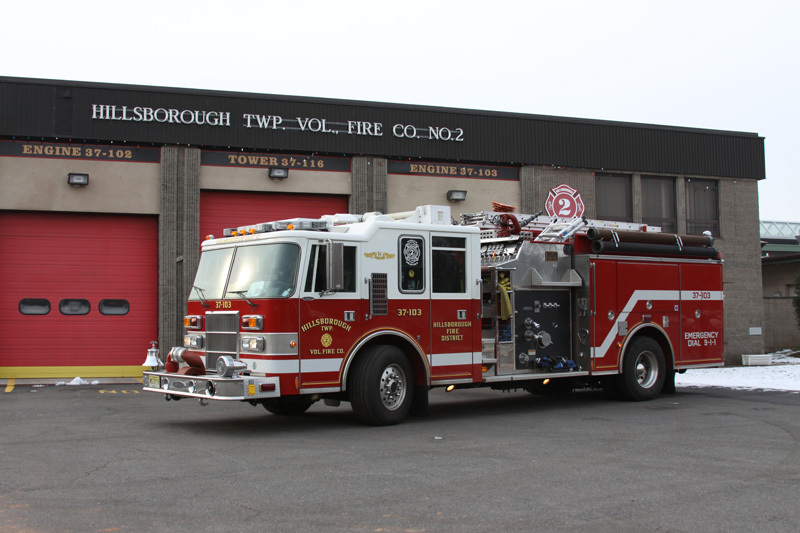 Engine 37 is our secondary engine and is rotated to primary on a quarterly basis. Engine 37 has a 750-gallon water tank and a 35-gallon foam tank. It can pump 2000 gpm (gallons per minute) and has seating for six firefighters.